How strong is Chinese manufacturing? Visitors could experience just that in the ongoing Hanover Industrial Fair, the world's biggest industrial show. 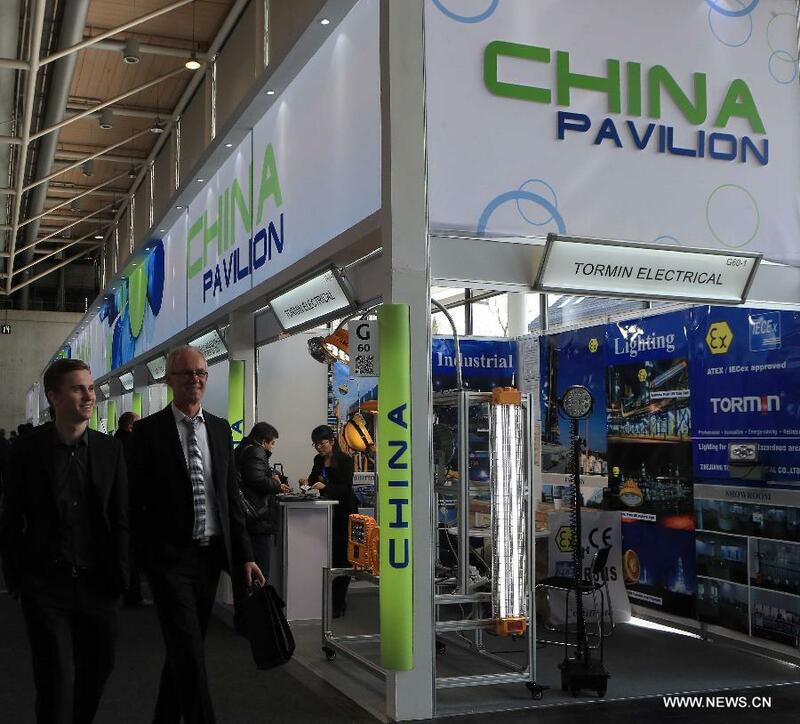 With more than 1,000 exhibitors, China became once again the biggest exhibiting nation next only to host Germany. With various products, technologies and solutions in sectors such as drive and control, energy and industrial automation, Chinese exhibitors showed their readiness to compete globally and presented themselves as innovative players in an industry facing tremendous changes. The Chint Group, a leading electric device and equipment manufacturer from China's eastern Zhejiang province, showcased its latest smart power distribution system which can be applied in communities and factories. With intelligent sensors, the system makes a smooth and fast shift from the main grid to substitute power in case of an electricity shortage, thus ensuring stable power supply to users. Data concerning electricity use and supply is transferred to controllers via wireless technology, making it possible to monitor and maintain equipment from far away. JIDD, a group from Hebei province in northern China, exhibited flying wheel energy storage system and devices that can recycle energy from the braking of trains. Sany Heavy Industry, a mechanical engineering manufacturer, presented its undercarriages parts of crawler machinery. Its senior sales manager Dong Wanmin said while Sany machinery had earned an increasing share in global market, the company wished to also promote its core parts products with innovative technologies to abroad. The competitiveness of Made in China products, analysts said, depends currently not only on low costs. With increasing investment in research and development, quality and technology in Chinese products have been upgraded. "Having developed for over 30 years after China opened to the outside world, the comprehensive capacity of 'Made in China' increased tremendously, and gained advantages in basic manufacturing, research and development, logistic systems and other areas," said Nan Cunhui, president of the Chint Group. He added that innovation is a must for Chinese enterprises to compete globally. Observers said China's new strategies to develop smart manufacturing and to promote Chinese brands globally are opportunities for Chinese enterprises to upgrade its manufacturing and enter the world market. "China has left us a very good impression," Dr. Jochen Koeckler, a member of the managing board of the Deutsche Messe responsible for the Hanover Industrial Fair, said in a recent interview with Xinhua. He said the number of Chinese exhibitors in Hanover rose every year. The exhibitors showed themselves increasingly as innovative players and could provide products that were no longer with only labor cost advantages. China is achieving landmarks in science and technology at breakneck speed. A string of achievements including Tianzhou-1, X-ray spcace telescope and C919, shows the country's innovation-driven development strategy is paying off. With a series of scientific breakthroughs during the past year, China is ushering in 2017 looking to grow into one of the world's great innovators. As a country determined to pursue innovation-driven development, China is ready to make even bigger moves in the future.